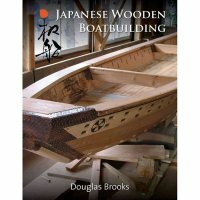 Under the tutelage of five Japanese masters, the author, Douglas Brooks, spent several years building unique and traditional wooden boats. In the first part of the book, the author introduces significant aspects of traditional Japanese boat building: design, workshop and tools, wood and materials, propulsion, ceremonies and the apprenticeship system. In the second part, Douglas Brooks gives an insight into his five teachers' boatbuilding methods. This fascinating book fills a gap in the literature on Japanese handicrafts and will be of interest to boat builders, woodworkers and all those impressed with the marvels of Japanese design and workmanship.